Friedrich Schiller, renowned German writer and radical member of the ‘storm and stress’ movement, is not unfamiliar to British audiences, with a well-reviewed production of “Don Carlos” starring Derek Jacobi and Richard Coyle hitting the West End as recently as 2005. “Don Carlos” is a prime example of Schiller at work: passionate, witty, and brimming with revolutionary ideas about freedom and power. Despite some cool aesthetics and apt use of lighting however, this version, produced by Tom Burke and Gadi Roll’s new theatre company Ara, is passionless, tedious, and incoherent. In terms of plot, ‘Don Carlos’ takes place around the beginning of the Eighty Years’ War when Dutch provinces began fighting to free themselves from the rule of Spain and its king, Phillip II. Prince Don Carlos’ former lover recently married his father, and his declarations of love for his new stepmother kick start various court schemes to dispose of prince on one side, and to rebel against the king on the other. How can freedom be won from tyranny, and who will be left to pick up the pieces? Robert David MacDonald’s translation – first staged in 1995 – retains the lyricism and wit of the original at times, but in an effort to be ‘accurate’, unfurls absurdly long and convoluted sentences that feel foreign to this contemporary audience. If Roll had been able to perhaps adapt the text to his liking, he may have produced a more engaging and better flowing piece of theatre, allowing the vital themes to shine through without the 18th century linguistic baggage. Furthermore, the actors visibly struggle with this text. Scenes become shouting matches, the actors whipping out lines as fast as they can hoping to create pace and energy but instead just becoming unintelligible. In the verbal carnage, meaning and nuance is lost. 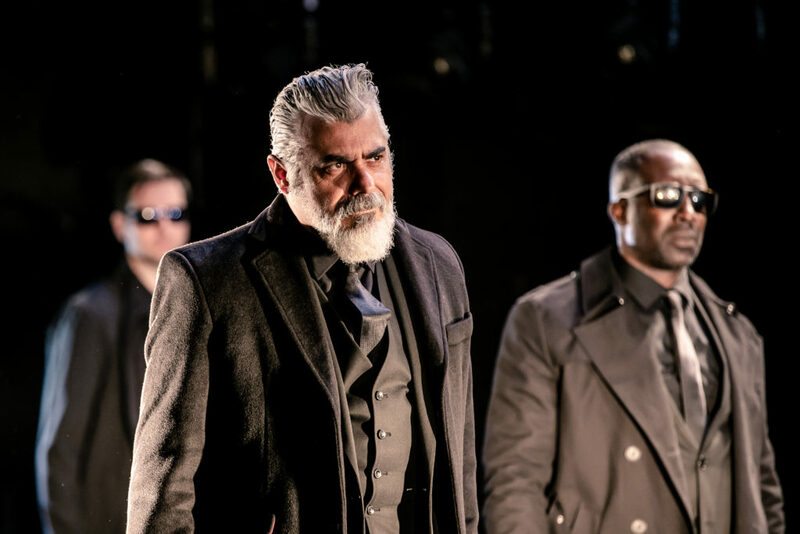 Although Rosanna Vize’s design, forcing light in actors faces up close and personal, neatly reflects the accusatorial and inquisitorial nature of the plot, the general direction and staging is confused and inconsistent. A dark stage with all actors dressed in black or navy makes the events seem timeless and contemporary but is a dull and monotonous visual choice. There is an obvious desire for pace, and yet scene changes are laborious and slow down the action – it’s a stripped back setting, so why so many chairs, tables, beds? Actors are often stood in parallel and remain there scene after scene. Roll’s sound design, an odd mix of sentimental strings and tension building drums, intrudes obtusely into conversation without any obvious purpose and becomes both distracting and another thing for the actors to shout over. Burke and Roll have been ambitious, admirably seeking to create stylised drama that goes beyond “the naturalism of television and film”, but they still have much to learn to ensure style does not trample over substance. Be rougher with the classics and don’t allow acting to come second place to design. As a Germanophile, I found this very disappointing.